Here’s another shot I’ve just recently processed. 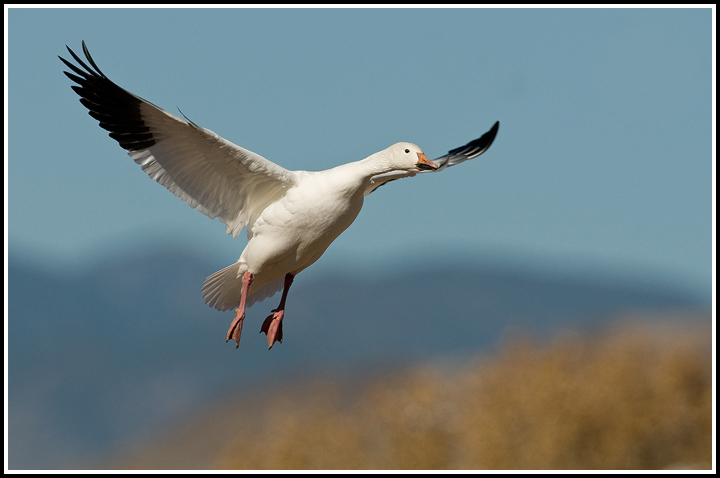 I took it back in November at Bosque del Apache. I’m getting some real progress done with processing the photos from my giant trip… It’s exciting! Speaking of exciting, it’s spring break next week, and that means I’ll be visiting my grandparents in Florida like my family does most years. I can’t wait to get down there! I’m getting into processing my tons of files, and it’s a blast. We have had a bit of a cold snap here in Virginia, and I regret that I wasn’t able to get out and photograph any of the cool ice patterns. I went out looking today but didn’t find anything. It’s not supposed to go over freezing tomorrow, so maybe I’ll look again elsewhere early on Wednesday morning. We’ll see! 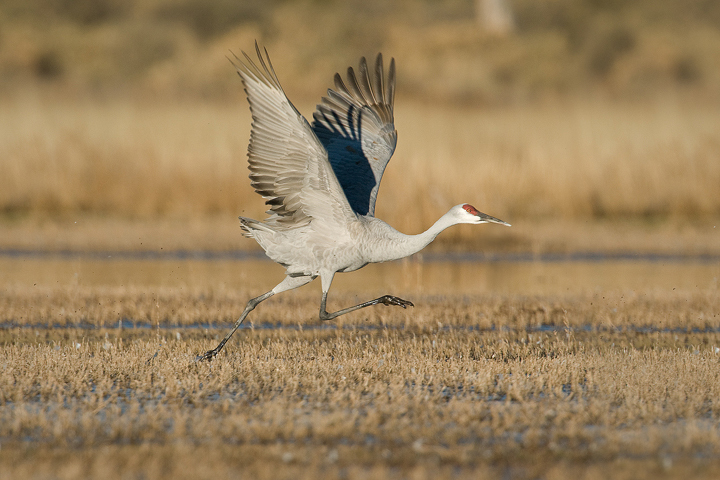 Here’s one from Bosque Del Apache in Late November. 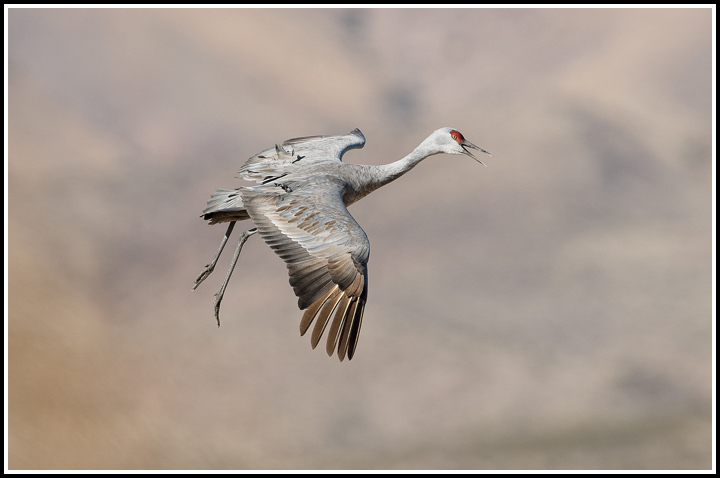 I was photographing a group of Sandhill Cranes feeding and walking around. I was waiting and hoping to see some action, perhaps a take-off or something of the sort. Because of this, I had selected an exposure that allowed for a fast shutter speed (1/1250th) just in case of any movement. 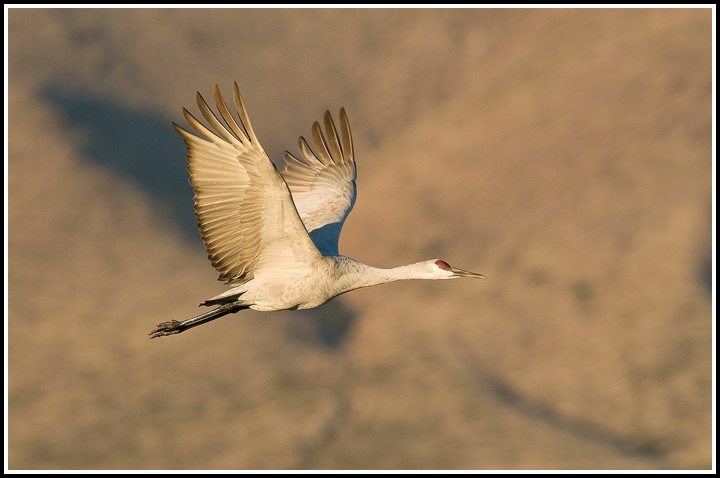 I’ve now left Texas, and have shot at Bosque del Apache for the last few days. I apologize for not updating in a week, and I can promise that the next will be full of updates, as I head out to Arizona! Anyway, Bosque del Apache is nuts. There are over 37,000 Snow Geese and 4,700 Sandhill Cranes here right now, according to the Park Service. The light has been good, and the shooting conditions have been nothing short of awesome. After a morning shoot tomorrow, I’ll be heading off for the Grand Canyon. Finally, if you haven’t yet, you should take a look at Ethan Meleg’s work, and Chris Dodds’ work. They have both been extremely kind in their willingness to show me around this place, and they are both excellent photographers themselves. Ethan is currently in the middle of an 18 month photo journey… And I thought I was nuts for wanting to do three. 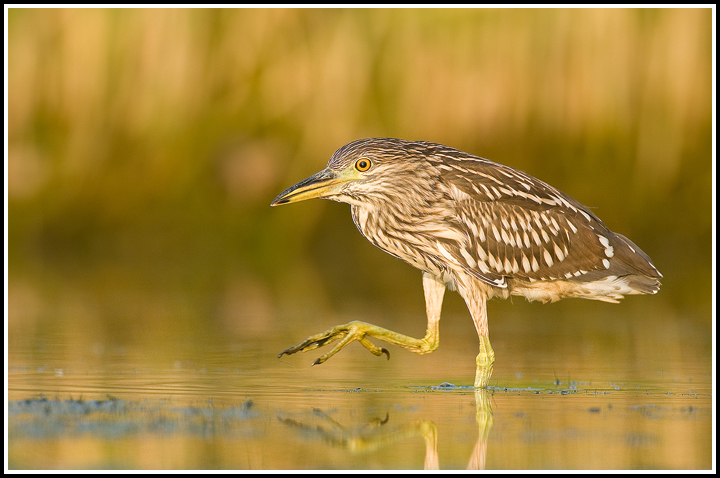 Anyhow, if you’re not familiar with their photography, please drop by their websites and take a look. Here’s another of the many photos you’ll see on here from my weekend in Conneaut. This youngster flew in when we were concentrating on photographing the Sora’s I mentioned earlier. I’m sure you can imagine the conflict in my mind. I just made the most of both opportunities and walked away with what I consider strong images of each!